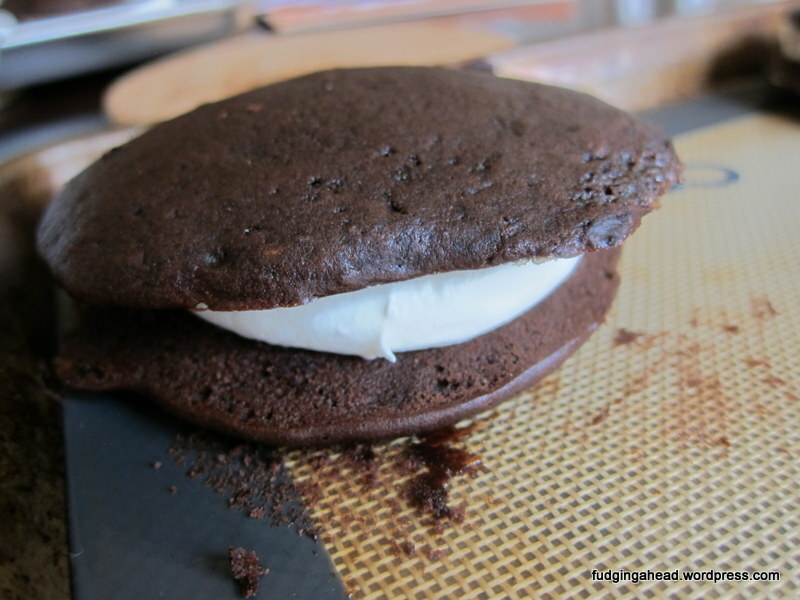 One of the (many) things I had never made before was whoopie pies. I thought you needed a special pan, or fancy piping…and I didn’t know if they were really worth much effort, especially since recipes usually only make a few. I usually like a decent amount of effort to make desserts that would last us a week or so, just to make it more worthwhile. 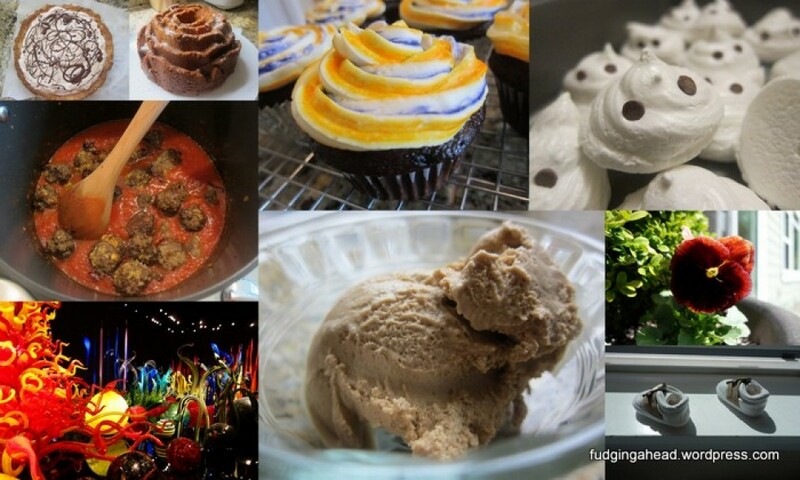 Otherwise, I’d rather make something more regular like cake/cookies/brownies. Well, I made these with the Fudgelet at his request. And they were worth it. Even worth needing to buy marshmallow fluff.